Become a cosmopolitan manager and pursue your career well beyond Canada’s borders. Whether you choose the thesis or supervised project stream, you’ll gain far-reaching knowledge of the globalization issues facing businesses. Basic concepts linked to market globalization, strategic challenges of internationalization, and international social development and innovation. Acquire expertise needed for careers in both industrialized and emerging economies. Develop skills in international marketing, international strategy, international finance or international economics. Truly international: in fact, half of the students come from over 15 different countries. Multilingual and multicultural professors, renowned in Canada and abroad, who bring a wealth of international knowledge and expertise. 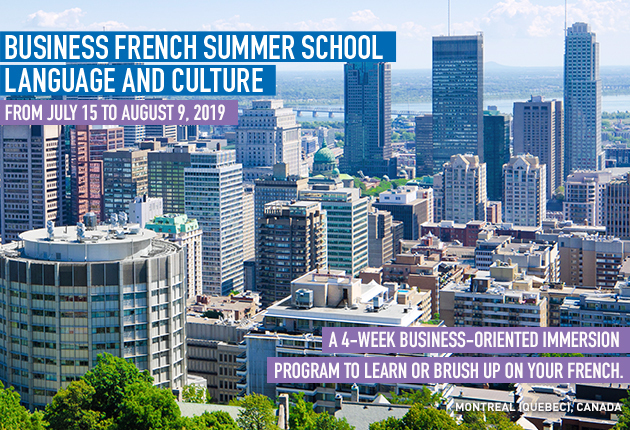 "The multicultural environment at HEC Montréal facilitates a better understanding of diverse business cultures and cultural traits. The quality and guidance in academic research was definitely a key aspect of why I chose the program to hone my skills in international business." Sergio-Andres Paier-Falla, student, Master of Science (MSc) – International Business. Campus Abroad is a 2- to 3-week intensive course in one of 8 selected countries to learn about the challenges of doing business in another country and meet with company managers. Join the Global Business Forum. Its mission is to foster awareness and exchanges related to cultural and business networks in developing countries. Conferences, networking events and round tables are organized around themes such as doing business in emerging economies like Russia, Africa and Latin America.